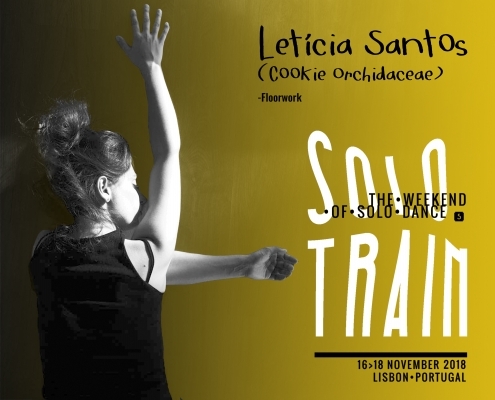 A weekend dedicated to dancing solo! Discovering rhythm and movement in your own body and how to express yourself more through the language of dance! 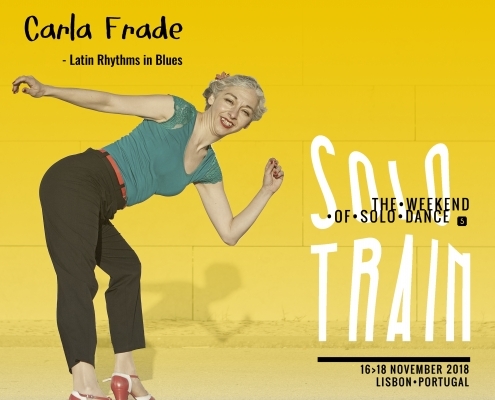 Though with a focus on jazz and blues movement, we’re so happy to mix it up and include other solo dancing to broaden horizons and spark your interest. We’ll explore jazz and blues in different contexts like jazz movements on other musical styles and Latin Blues, as well as rhythms and juggling! 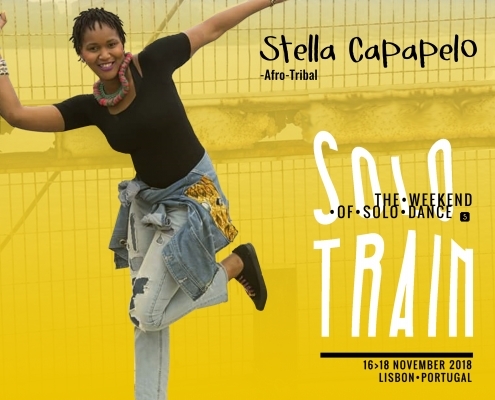 Saturday’s classes are dedicated to exploring styles that push our limits: Samba no pé, Hip Hop, House, Body Isolations, Floorwork, African Dance. Our Saturday and Sunday parties will make you mix up your dancing styles and put you in other rhythms and moods, dancing solo or with a partner. You choose! We just hope you’ll open your heart and mind and embrace music and dance in so many different forms. 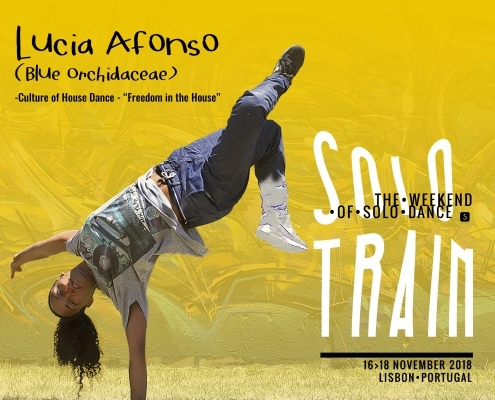 It’s our idea that Lisbon is just the right city to come and explore different dances. There’s a strong mix of cultures here in the city and dance communities enjoy mixing together because we all have one thing in common – we just want to dance! • 7.5 hours of workshops with a choose your own adventure structure! Workshops on Friday night, Saturday and Sunday afternoons. • 1.5 hour class about preparing your body for dancing, taught by a physiotherapist! • 3 parties where we push you out of your dancing limits and mix up the music styles! 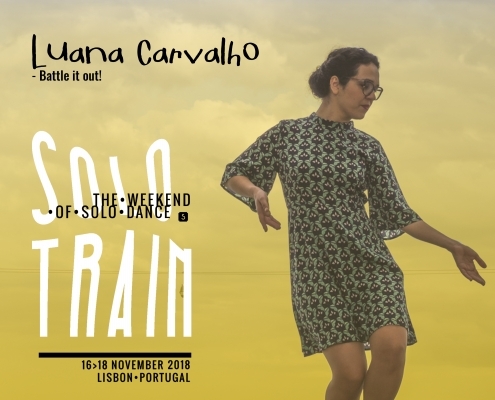 We have some great teachers in Lisbon, dancing a variety of rhythms and styles who will be joining us this weekend to push our limits! 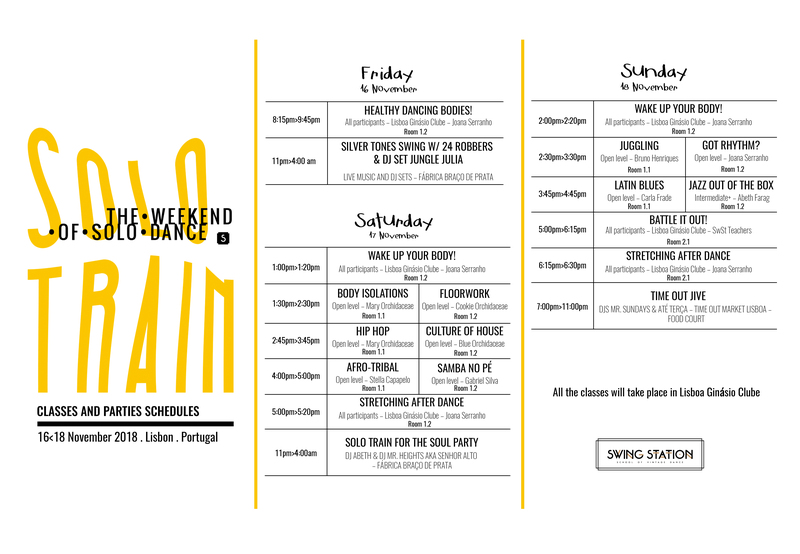 First, you register for the weekend of workshops – a total of 7.5 hours of workshops + warm-up and stretching sessions. Second, when the full timetable is sent to you via email closer to the event, you’ll choose which class you want to do at each hour slot. There are two classes at each slot. Third, . . . It’s going to be hard to choose! Just sayin’! Most classes are open level, though some experience in solo dance will be helpful! It’s not a requirement to have experience, as most classes will bring new ideas to even experienced dancers. However, you will find that it’s easier to follow along if you have done some kind of solo dancing! This is a class for everybody! 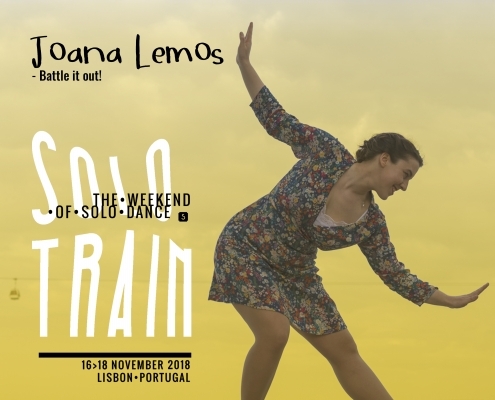 We have our extraordinary physiotherapist, Joana Serranho, who will guide us through the daily practices that keep our bodies prepared to dance in order to avoid injuries. We’ll learn a good warmup routine for before dancing and a correct stretching session for after dancing. Understanding a bit of our body mechanics and how to take care of our precious bodies is fundamental for any activity. We want to be able to dance for a lifetime! So let’s take care of our beautiful instrument! This class is dedicated to learning to activate and isolate different parts of your body. With this type of technical work we come to a better understanding of our own movement – which muscles to activate, improving body awareness. This is work that’s detailed and can be beneficial regardless of what style we’re dancing! We’re used to dancing vertically or even in a slightly lower position, but in this class we will create a new relationship with the ground, changing our sense of gravity. Let’s look for different ways of traveling between vertical and horizontal, changing the perspective of what surrounds us, navigating between up and down and working to flow smoothly between them. When we feel different parts of the body in contact with the ground, we will have direct feedback on our movement. Let’s stretch our limits and challenge our body in a new plane! Through explosive rhythms, the dances transmit the culture of the past and the daily life in African villages, a powerful expression of the rituals present in various rituals and ceremonies. It is from this group of dances that many movements are born in other dances such as Vintage Jazz and Blues, House, and Contemporary – movements that are absorbed and transformed with their roots in tribal dances. Afro-Tribal dance is considered a prehistoric art of the oldest in the world. The original dances were done to the sound of “Batuque”, first instrument that served as a “communicator”. Danced in circles, in lines, in open space, in diagonals, the movements resulted in complex choreographies full of culture and tradition, energy, and rhythm – a lot of rhythm! Let’s (re) find the sensation of dancing in a disco in the 70’s and 80’s, when a new style of experimental music was born: House. Everyone who sought out this new style in discos had different ways of moving and different cultures. Breakdance, Tap Dance, Jazz, Kung-Fu and Capoeira were some of the styles that influenced a new dance style, House Dance. Taking advantage of the basics and essences of these styles we learn some movements to understand how to express ourselves, how music makes us feel. The feel of House Dance lives on “Jack”, which is the style’s signature groove. Using Jack we will make the link – a journey from the origins of the style to the present day. House is the dance of Freedom, each person can use their basics and their own style to be able to let the music move them. The name “samba” probably comes from the Angolan name semba, a religious rhythm whose name means “umbigada” due to the way it was danced. The origin is mixed up with the very history of samba and carnival. Samba no Pé always meant freedom and relaxation. It is dancing for yourself and those around you. 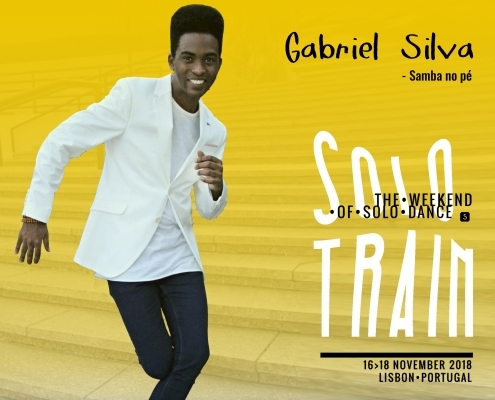 Samba no Pé (samba de carnaval) is a style of samba that can be performed alone, or added to other forms of samba dancing such as Gafieira. The dancer glides gracefully, with quick and gentle movements of the feet, also accentuated in the hips, gaining a charm of its own. An example of this style can be seen with the dance of the master-room (man) and the passista (woman). Juggling is defined as the art of manipulating objects with agility and precision. Juggling exercises help activate both sides of the brain, which are responsible for the rational and creative part. They increase flexibility, motor coordination and strength, also directly working skills like attention, concentration, breathing, laterality and reflexes. In addition, juggling introduces the sense of rhythm and provides better and more healthy breathing. This is a workshop that in addition to making your dance stronger technically and richer creatively! Dancing is simply moving with rhythm and everyone has some rhythmic ability in the body because even our hearts know how to … “keep the beat”! Come find the key to unleash this rhythm inside you! What is “swing” rhythm and “straight” rhythm? How do musicians think about rhythm? How can you put the rhythm in your body and let it flow? Explore some exercises to improve your sense of rhythm – exercises directly from the tap dance world, the most rhythmic American dance! And you’ll see how this dance has links to all American vintage dances. African and Latin rhythms have often been intertwined culturally and artistically in both music and dance. For instance the music “St. Louis Blues” by W. C. Handy has a habanera-tresillo bass line. A lot of Blues music have latin rhythms like the rumba or the Cha-Cha-Cha. In this workshop we’ll immerse ourselves in blues music with a latin twist and work on latin rhythms in Blues. Let’s try some jazz moves out with different shapes, rhythms, and textures. If we change the music up a bit we’ll choose a different way of moving, even within the jazz language. We can also “steal” ideas from other dance forms to put into our solo jazz and create new textures in that way. 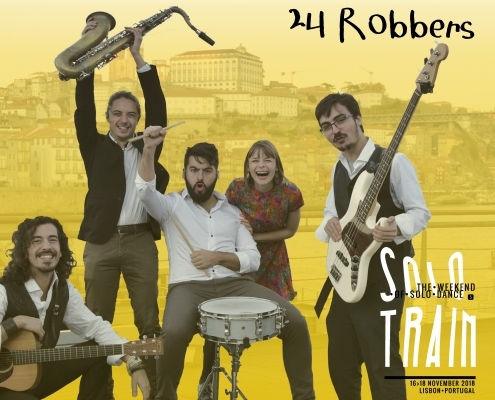 This workshop is meant to open our minds about our way of “speaking in jazz.” We recommend at least a year of solo vintage jazz experience to follow the rhythm of this class. Download Timetable - Click here! 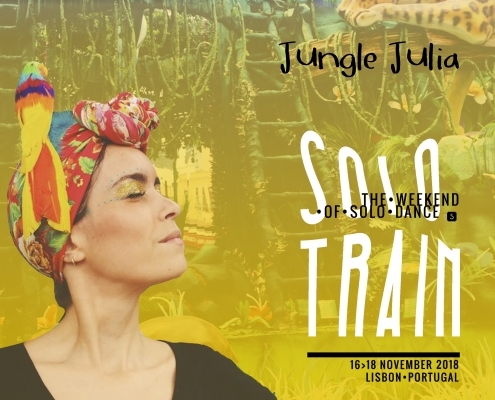 1:00pm>1:20pm – All participants – Lisboa Ginásio Clube – Joana Serranho WAKE UP YOUR BODY!